Theresa May has described modern slavery as the greatest social injustice of our time. 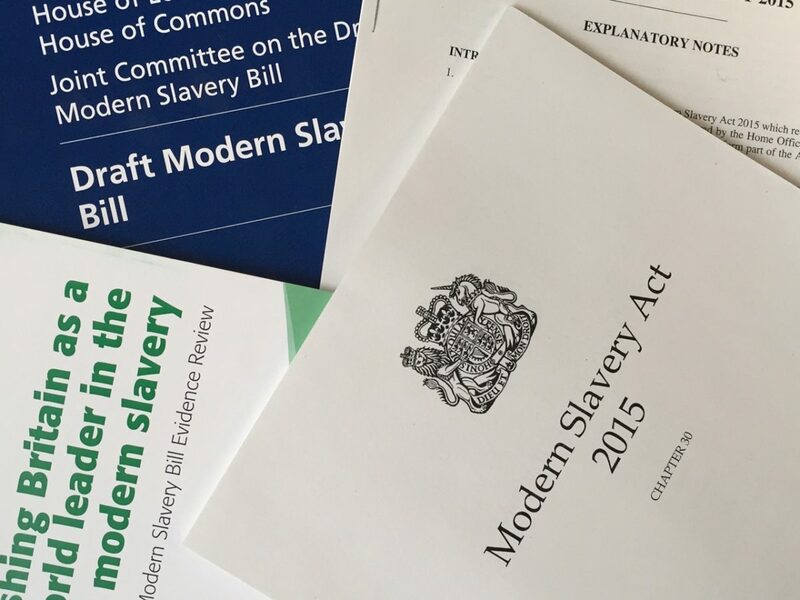 The UK is unique in legislating on this subject, with the Modern Slavery Act 2015 (MSA). Alongside this legislation, the Home Office produced a dedicated ad campaign to raise awareness of the issue. To get a flavour of this, their hard-hitting ad “Modern Slavery is closer than you think” can be viewed below. Increasingly, larger businesses put conditions in their standard contracts that deal expressly with modern slavery. Clauses requiring potential suppliers to comply with their anti-slavery policy and/or include in its own supplier contracts clauses that compel businesses in the supplier’s supply chain to comply with modern slavery policies are becoming more and more common. Some of your larger customers may even wish to visit your site unannounced to satisfy itself that you are complying with their modern slavery policy. Many are even reserving the right to make such unannounced visits in their standard contracts. Most onerously, customers often reserve the right to terminate the contract immediately if the supplier is in breach of its obligations in relation to modern slavery. The best advice is to always stay ahead of the curve. If your business provides services or other supplies to larger businesses, then you should start thinking about modern slavery and how to make sure that you will be in compliance with legislation (should it be extended to included smaller business) or your customer contracts. At Sherrards, we’ve been working with clients on their supply chain analysis and in drafting their modern slavery statements, and we’re happy to assist businesses comply with this important legislation. Sherrards is a firm of solicitors regulated by the Solicitors Regulation Authority. + Can we help you? Fill in the fields below and we will be in touch as soon as possible. We respect your privacy. Your information is completely safe and will not be shared.